You cannot control if someone drives into your car or hits you from the side as you go through an intersection. While you can wait until it is your turn to drive, and check the intersection to make sure it is clear, someone can come along on the cross street and hit the side of your vehicle. When the two cars form a "T," the accident is called a T-Bone crash, although its proper name is a "side-impact" collision. 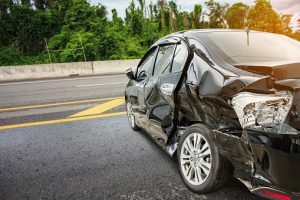 An experienced T-Bone accident lawyer knows the level of intrusion and speed of the approaching vehicle are going to be determinative factors in the outcome of a side impact collision. The sides of a vehicle are thin and have little ability to shield passengers when a car is struck from the side, so injuries are likely. Safety features like head and torso protection and side airbags can help to prevent serious damage to the body, or even fatal injuries. While you are not required to buy a safe car and motorists who strike your vehicle are going to be accountable for losses regardless of what you are driving, it is a good idea to do careful research and look into crash tests results before you buy your next automobile. Insurance Institute for Highway Safety conducts side-impact crash tests on vehicles with side airbags, torso protection, and head protection installed as standard features. Crash test dummies are used to mimic men, women, and children inside vehicles. IIHS uses a barrier designed to impart a force similar to being struck in the side by a sport utility vehicle or pickup truck. The barrier impacts the vehicle being tested at a perpendicular or "T" angle. IIHS measures the level of intrusion into the vehicle, as well as assigning injury ratings for injuries to the head, the neck, the torso, the pelvis, and the legs. Cars are then rated as either good, acceptable, marginal, or poor. A car's rating appears to be fairly reflective of whether the vehicle does a good job of keeping drivers and passengers safe in T-Bone accidents. A driver in a car labeled as good was 70 percent less likely to lose his life in a left-side accident as compared with a driver who was operating a vehicle with a poor rating. Even in a car given only an "acceptable" rating, the driver was 64 percent less likely to be killed in a side-impact collision on the left side as compared with a driver of a car with a poor rating. In 2009, 27 percent of fatalities in motor vehicle collisions involved occupants of cars hit from the side in a T-Bone accident. Motorists can try to reduce the chances of being a victim of a fatal accident by purchasing a car with a good safety rating. As car manufacturers see how their vehicles stack up to competitors, hopefully they will also begin to make changes to improve their own safety features and thus save lives.